You only have to step out of your hotel lobby in Paris to understand that the French know how to do skincare. Not only do the madames and mademoiselles on the street always seem to have immaculate complexions, but the pharmacies are packed with advanced skincare products at supermarket prices – can you imagine that the French go to pharmacies for moisturiser, rather than painkillers and tampons? So chic! 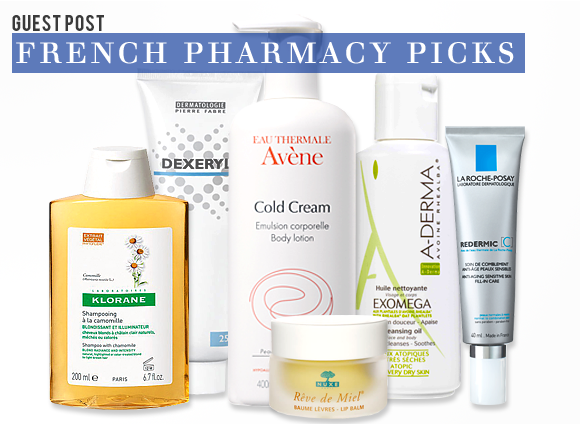 This is why I urge you to take advantage of Escentual.com’s ‘Third-off’ promotion across French Pharmacy brands (valid until the end of September) as there are some real bargains to be had – and to inspire your shopping basket, I’ve picked my favourite products from the brands on offer below. I Love: Vichy Purete Thermale Calming Cleansing Micellar Solution, £7.26. Why? I started using Micellar Water as a cleanser a few years ago and my skin has transformed. It removes every trace of dirt, makeup, and excess sebum, but doesn’t strip the skin of natural oils. Skin is left supple, comfortable and very clear. I Love: La Roche-Posay Redermic Anti-Ageing Sensitive Skin Fill-In Care, Normal to Combination Skin, £16.83. Why? It’s hard to find a really effective anti-ageing moisturiser that is suitable for sensitive skin – but this lightweight cream, packed with an infusion of Vitamin C, does the job perfectly. I Love: Avene Cold Cream Body Lotion, £13.32. Why? I’m prone to dry skin on my legs and arms, but this refreshing lotion works wonders at keeping skin hydrated, soft, and supple. A little goes a very long way too, making the bottle last and last. I Love: A-Derma Exomega Shower Cleansing Oil, £6.66. Why? I’m a big fan of shower oils. They not only cleanse your skin really gently, but leave it feeling ultra hydrated and silky soft. This bottle is suitable for sensitive, fragile skin and can be used in the shower or bath to gently cleanse skin. I Love: Klorane Camomile Shampoo For Blonde Hair, £4. Why? I’m brunette these days, but back in my blonde days I swore by this shampoo. Enriched with Egyptian camomile, it intensifies and brightens blonde hair, whilst cleansing away particles than make golden hair appear dull. It smells gorgeous too! I Love: Nuxe Reve de Miel Honey Lip Balm, £6.27. Why? Regular readers will have heard me rave about this lip balm in the past. It’s without doubt the best lip balm I’ve tried and leaves my pout feeling soft, supple, and hydrated. I’m not the only one that loves it, with a pot of the lip balm sold across the world every 28 seconds! I Love: Rene Furterer Okara Mask Protective Radiance Conditioner, £15.98. Why? One of my new year’s resolutions was to do an intensive hair mask at least once a week – and at the end of September, I am still going strong (must be some kind of record?) This is one of my favourites, which contains Vitamin B5 to infuse hair with moisture. I Love: Pierre Fabre Dexeryl Cream, £4.08. Why? If you have especially dry skin, you will really benefit from Dexeryl Cream, which will leave your skin feeling supple, comfortable and – most importantly – hydrated all day long. I don’t suffer from very dry skin, so can’t recommend it first hand, but I have heard some great things about this cream, which is an absolute bargain too. This entry was posted on Monday, September 24th, 2012 at 10:26 am and is filed under Guest bloggers, Skincare. You can follow any responses to this entry through the RSS 2.0 feed. You can skip to the end and leave a response. Pinging is currently not allowed.